France has joined a list of nations opposing the latest EU initiative on tackling the immigration crisis in Europe by issuing strict quotas to member states for accepting refugees over the next two years. “I am against the introduction of quotas for migrants. This has never been in line with French proposals,” the French Prime Minister, Manuel Valls, said in regards to the European Commission Plan unveiled Wednesday to grant 20,000 asylums across the EU in the coming years. “Asylum is a right granted by international standards applied to all countries of the European Union. It is also for this reason that the number of beneficiaries cannot be the subjected to quotas,” Valls said in Menton, on the Italian border, where French police in the last four days detained a record 944 migrants and arrested 54 people smugglers. Valls called for a fair distribution of refugees between all member states, but pointed out that currently 75 per cent of migrants are settled in Britain, France, Germany, Italy and Sweden. 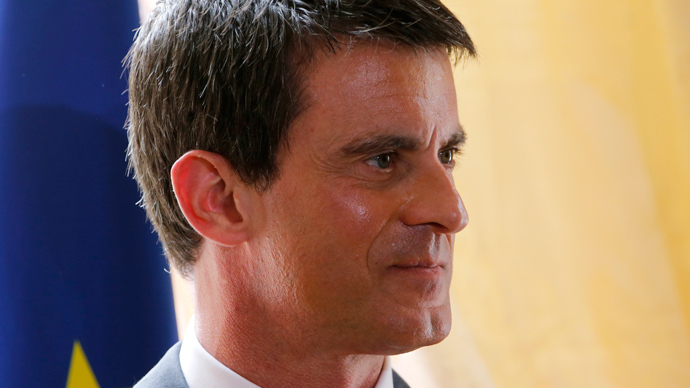 France, Valls said, has already done plenty, offering asylum to 5,000 Iraqis and 4,500 Syrian refugees since 2012. Meanwhile he said that migrants should be expelled unless they have a genuine cause to fear reprisal at home, as he called for an EU-wide system of border guards and more “preventative measures” in the migrants’ countries of origin. Dealing with an increasing number of migrants in the EU became a hot topic after the surge of illegal Mediterranean Sea crossings from North Africa to Libya in recent months. More than 5,000 migrants have died over the past 18 months while trying to cross to Europe. Under the Commission’s proposal, France and Germany would host the highest percentages of those trying to cross the Mediterranean – 14.17 and 18.42 percent respectively. The distribution criteria rests on a number of factors such as economic output, the size of the population, unemployment rates and the number of refugees residing in EU country. Denmark, Ireland and the United Kingdom are not part of the EU distribution migrant quotas as they are not members of the appropriate EU treaties. Yet despite this the European Commission clashed with Britain earlier this week after the British interior minister Theresa May called for economic migrants to be sent back. “Such an approach would only act as an increased pull factor across the Mediterranean and encourage more people to put lives at risk,” she said. “The Hungarian government will do everything to prevent this in Brussels,” Janos Lazar said.